Valentine’s Day, the cool February day that is dedicated to romantic love! The atmosphere is still cool with the recent thaw. Spring is round the corner. February 14th, is awaited with baited breath by the romantic multitude around the world. This is the day on which the love smitten couples declare their love for each other with every emphasis possible. Exchanging the cards proclaiming love and the gifts expressing the deeply-felt sentiments for each other are considered to be mandatory on this occasion. Murano glass jewelry is made of individually hand crafted beads of various sizes and shapes. The artisans make the utmost use of their skill imagination while creating these masterpieces. When you give these ornaments to your lady, as a Valentine’s Day gifts to your lady it will surely make an everlasting impression. Pink is always the color of love. 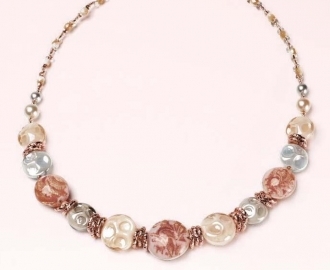 This pink toned necklace will match the happy blush on your beloved’s face. The cream and white beads alternating with the pick ones complement the color scheme perfectly. The golden accents in between the beads add to the beauty of the necklace and your sweetheart will treasure the necklace as preciously as you love. 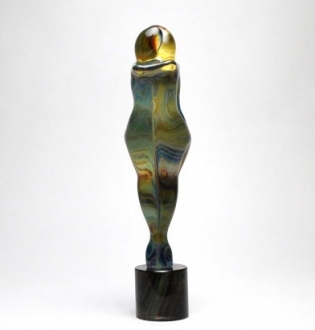 The Murano glass artists usually produce unexpected designs which always take one by surprise. 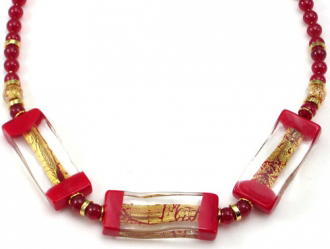 This red and gold necklace will surely give a pleasant surprise to your loved one. The three oblong beads which are made of clear glass which encase gold aventurine work will win any lady’s heart. Red is the color of warmth and this necklace will make your Valentine feel the warmth of your love and affection. 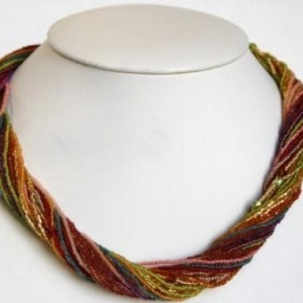 You will be gratified by the wonderful shimmer created by this multicolored seed bead strings around your love’s beautiful neck. The brilliant gleam in your lady’s eyes will surpass the breathtaking beauty of this multiple stringed ornament. Each of these beads is individually shaped manually to perfection and because of this, the brilliance of each string contributes to the overall sparkle. 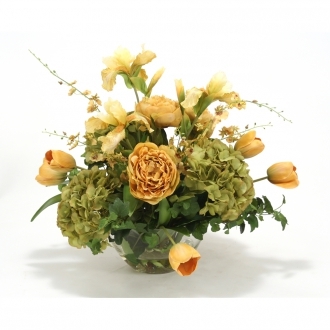 This ultra modern design will be an asset to your loved one’s collection. The pink toned uniquely shaped bead which is the highlight of this ornament complements the clear white glass beads and gold accents to create an incomparably romantic embellishment for her neck and arm. 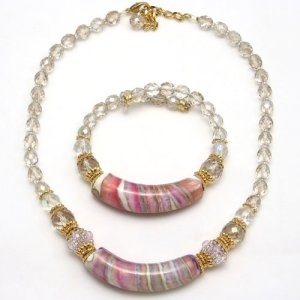 You can gift this Murano glass necklace- bracelet set to your love with confidence. Even the choosiest of ladies will be enamored of this wonderfully trendy jewelry. 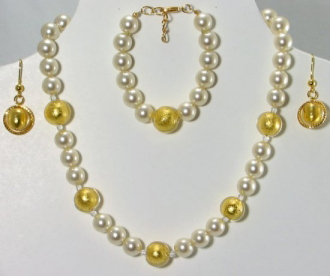 This magnificent set made of gold beads and white glass pearls will capture any lady’s heart. It lends her face a heavenly innocent beauty. The ear drops are shaped in the trendiest fashion. The golden sheen accentua tes the delicate beauty of her face. This necklace can be worn for all occasions, both formal and informal dresses. Pearls are always fashionable. The emotional aspect connected with pearls makes it a highly romantic gift. It stands for strength and elegance. 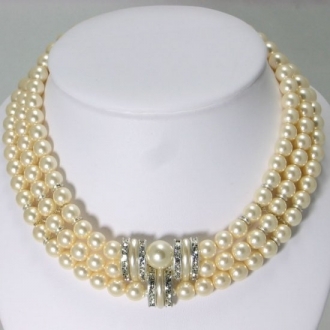 This is another pearl necklace that can serve as a romantic gift to your lady. The three layers pearl necklace is embellished with silver accents which makes it a consummate work of art. The short ornament almost hugs the lady’s neck to give her face an ethereal glow. This wonderful pearl necklace is a declaration of love in itself. 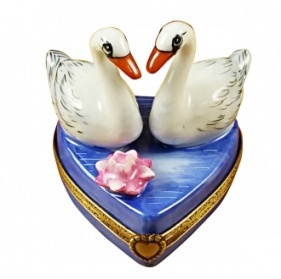 Capture your sweetheart’s heart completely on this Valentine’s Day by gifting her with this fabulous ornament. Murano glass artists are experts in creating magnificent works of art from glass. The traditional techniques that are handed down from generation to generation enable the present generation to experiment with their art. The result is often stunning. 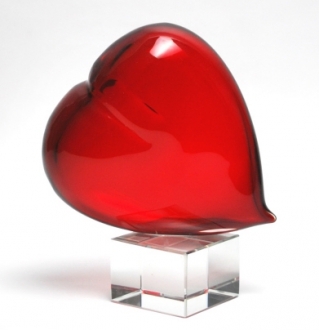 Some of the Murano glass sculptures express the emotion of love volubly. The sculpture that depicts a lover’s embrace can declare your love for your beloved more than words can say. Calcedonia is a traditional Murano technique that produces unique and unexpected designs in glass. The striations often serve as great decoration. The calcedonia lovers show an abandon that will give an idea about your exclusive love for her. 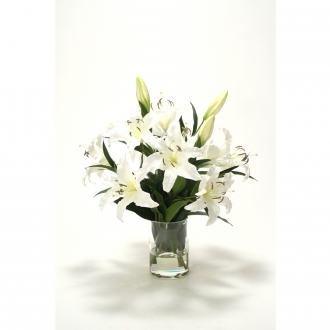 The clear glass and amber lovers show camaraderie that is very important in any romantic relationship. 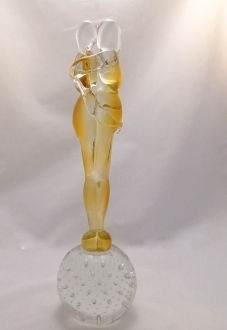 If you decide to gift one of these Murano glass figures to your lover, it will never leave any doubt in her heart about the nature of your feelings about her. 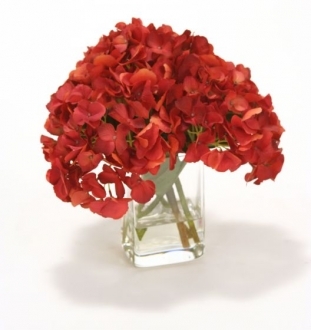 These will prove to be very expressive Valentine’s Day gifts. 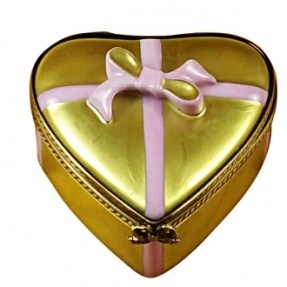 The Murano glass hearts are yet another set of romantic gifts that are very popular. 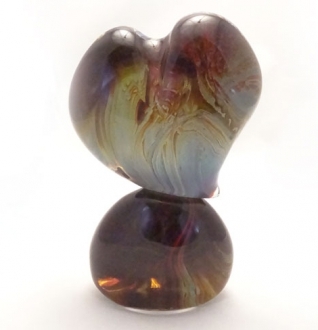 The lo vers can give their whole heart symbolically to their partners by gifting one of these Murano glass figurines. The calcedonia heart looks incredibly like a real heart with the blood vessels on it. It has a touchingly mysterious quality about it. Your mate will treasure it for life. On the other hand, the blood red glass heart gives out a playfully honest air. No lover can ignore the pleasant but fragile looking heart; on the contrary, the person who receives it tends to handle it carefully and lovingly. If that is the emotion you want to inspire in your Valentine, you can’t be more right in your choice of gifts. 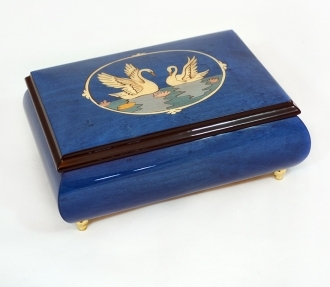 The inlaid mu sic boxes of Sorrento are world famous collector’s items. 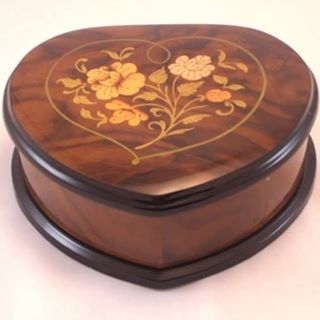 Knock out your Valentine this Valentine’s Day by gifting him/her with one of these unique boxes. If you are courting and you are serious about continuing the relationship, no other time is suitable for proposing, other than the Valentine’s Day. 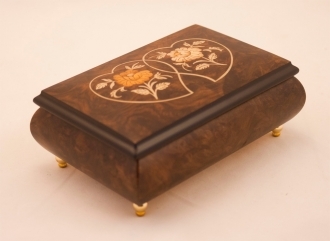 If you are planning to sweep your lady off her feet with a beautiful ring, you can get a magnificent and imaginative musical box which pays a heavenly tune and pack your ring in it. She would love to open the box listening to the music to find the treasure in it. 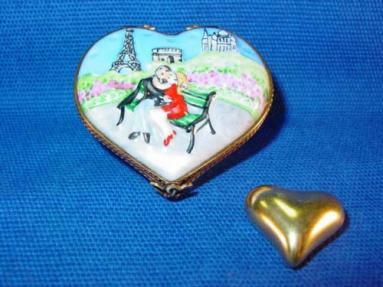 If you are not yet ready to propose, you can encase some other precious keep-sake in the Sorrento music box and give your mate a pleasant surprise. If you are a girl who wants to show how much you love your man, don’t hesitate to get one of these romantic boxes to pack your gift in. “If music be the food of love, play on…” says the great bard of Stratford on Avon. So be it with you on this Valentine’s Day! The porcelain boxes of Limoges, France are crafted to depict every article and emotion under the Sun. The artisans show a deftness that is unmatched in any other form of similar crafts. These small porcelain boxes will serve as containers for small trinkets and keep sakes. The lovers exchange precious keep-sakes that are meaningful in their relationships with each other. 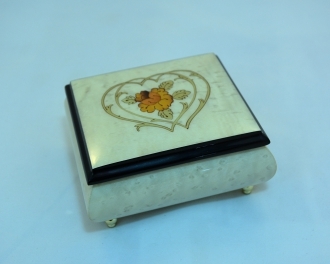 If you want to give your girl friend a trinket or if you want to present your boyfriend with a pair of cuff-links or a tiepin, there is nothing more suitable than a Limoges box to encase it in. If you happen to be sure of your relationship and wish to take it to the next level, V alentine’s Day offers you the best opportunity to propose to her. 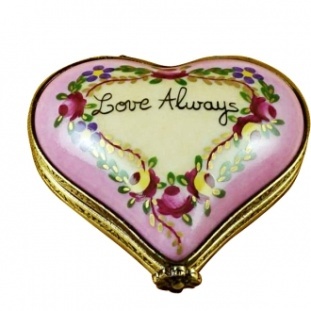 You can always select from our collection of romantic themed Limoges boxes to impress her. She will be amazed by your artistic discernment. These Valentine Gift ideas will help you to select the most apt Valentine gift for your romantic partner. Wish you a happy and romantic Valentine’s Day!